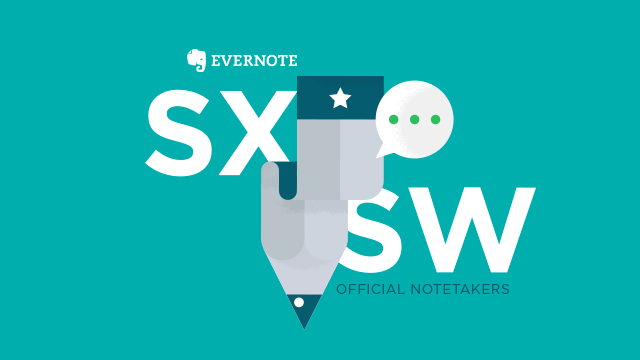 Last year, Evernote descended on Austin as the first-ever official notetakers of SXSW. Last year we covered more than 30 sessions within the Workplace track. Whether you were an attendee or just interested in hearing from the amazing lineup of speakers, Evernote was there to capture and provide free professional-quality notes. After last year’s success, we’re excited to be back for 2018 — and we’ve kicked it up a notch. This year, we’ll be capturing thoughts and ideas from more than 50 sessions, across the Workplace, Intelligent Future, and Brands & Marketing tracks. We’ll cover speakers from companies such as Facebook, Google, Airbnb, The Wing, Cisco, Pandora, and more. We also know that note-taking goes far beyond simply words on a page. That’s why we’ll be showing off some of the fun ways you can capture content with Evernote. From words, photos, and audio clips, to attaching slides and PDFs and much more, Evernote is here to help you capture the entire SXSW experience. Check out the full list of sessions we’ll be covering and be sure to follow us on Twitter and Instagram for a behind-the-scenes look at everything going on. 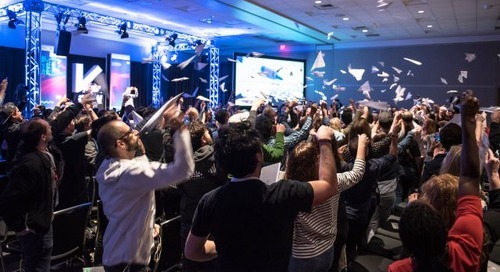 The post Evernote Returns to SXSW to Capture Content from over 50 Sessions appeared first on SXSW.